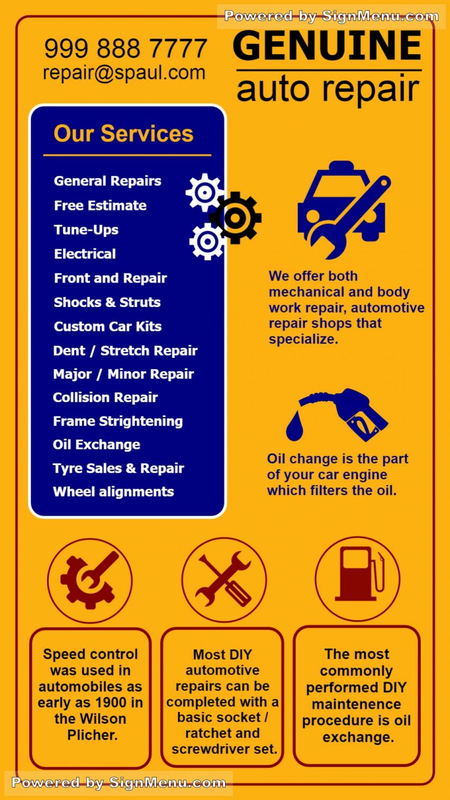 This template showcases the offerings of a car repair garage. The bold yellow and blue gives the template a definitely strong look, emphasizing trust and reliability. When you add to this your logo, with a digital screen illumination - the effect will simply be electrifying ! This template is ready for use or edit. Please download.